Updated December 1, 2018: The Official Hydrogen OS 9.0 Public Beta is now rolling out again, after a short hold up, for OnePlus 5 and 5T based on Android 9.0 Pie. It also features November 2018 security patch. This is the Open Beta update; meaning, released for the public. You can download the full stock firmware package from and update manually over previous H2OS, Oxygen OS, or Open Beta using Local Upgrade method. Oxygen OS 9.0 for OnePlus 5 and 5T may be released as soon as tomorrow. So stay tuned. Original Post: We already heard reports of the official Android 9.0 Pie firmware update releasing soon for the OnePlus 5 and 5T phones, directly from the manufacturer. Following Oxygen OS 9.0 release for the OnePlus 6, the Android 9.0 Pie is now being tested for the last year’s flagships. The Hydrogen OS 9.0 beta firmware has been leaked and now available for download for OnePlus 5 and 5T. So if you would like to update your device before anyone else, download Hydrogen OS Android 9.0 Pie beta firmware for OnePlus 5 or 5T. Hydrogen OS, as we know it, is the firmware or ROM for the Chinese variants of OnePlus phones. It excludes all the Google Apps and Services along with the Play Store. 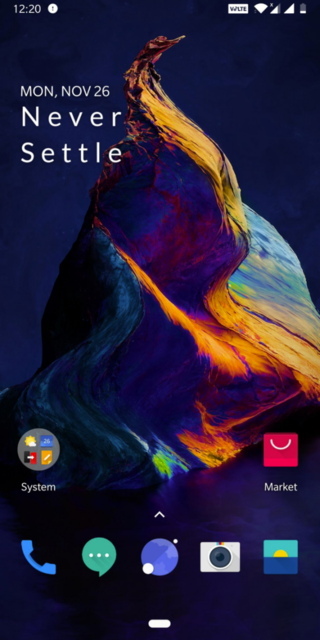 Rest of the ROM is identical to the Oxygen OS – available for the international variants. So the H2OS 9.0 is very close to Oxygen OS 9.0 that we already have for OnePlus 6 and 6T. Moreover, you can always install the Google Play Services separately. The H2OS 9.0 Beta ROM has now been leaked and if you want Pie right now, you have come to the right place. You can upgrade your device to Hydrogen OS using Local Upgrade method or flash it directly using TWRP if your Android is rooted. The official Android 9.0 Pie update for OnePlus 5(T) features all the latest goodies such as Adaptive Battery, Adaptive Brightness, Slice, Actions, Advanced AutoFill, the new Android Pie gesture navigation coupled with improved OnePlus gestures, latest November 2018 Security Patch, etc. What’s new with the Hydrogen OS Android 9.0 Pie Beta? – Brand new UI design, more details, etc. The following zips files are full stock firmware packages for the OnePlus 5 and 5T. It consists of H2OS 9.0 Pie full signed packages which are stock recovery and TWRP recovery flashable. You can also do a local upgrade if your device is running Oxygen OS or Open Beta. However, avoiding any conflicts, it is better to factory reset the phone and the flash the H2OS ROM. More screenshots: Visit this Google Photos link for more screenshots. How to Update OnePlus 5/5T to Android 9.0 Pie based on H2OS 9.0 Open Beta? The Local Upgrade method is the easiest way to update any OnePlus device. Read detailed tutorial here: How to to flash H2OS full stock firmware over Oxygen OS or proceed below. Download the latest available H2OS full stock firmware zip from above. Get the full firmware package from above for the OnePlus device and transfer the ROM file to the internal storage or phone storage. Place the zip file outside every folder. See the image below. Oxygenos based on android pie beta for oneplus 5 will be available today?